“Belaruskie, Belaruskie way oh way!” – Tourists. The first proper trip I did while living in Poland was to the Russian Enclave/ Unrecognised Country/ Separate Region of Kaliningrad. 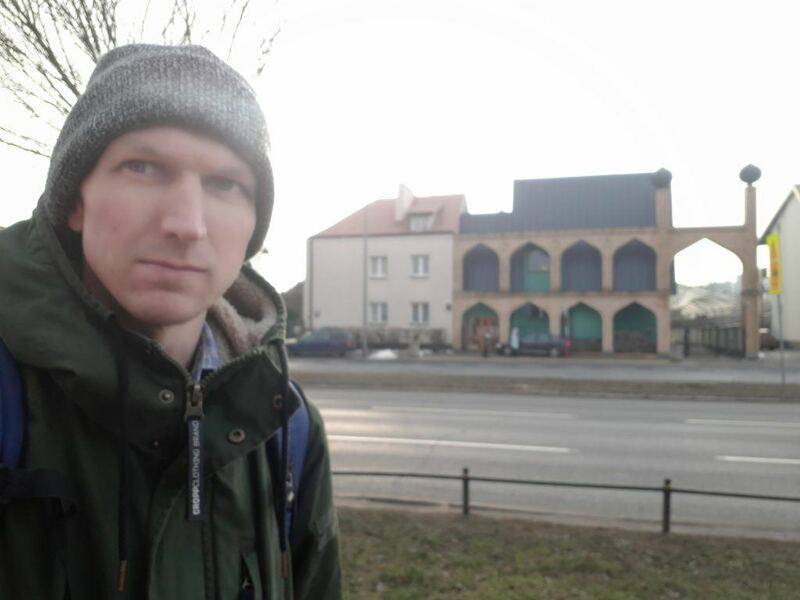 Yes, visa needed and I managed to nail it third time round – I visited Kaliningrad before hanging up my backpack and deciding to settle in Poland in 2016. Then, in March 2017 I finally whackpacked Mongolia leaving just Nepal, Tibet, Pakistan, Turkmenistan, Maldives, Bhutan, Papua New Guinea unbackpacked from recognised Asia. But Belarus was due a return. It had been too long. 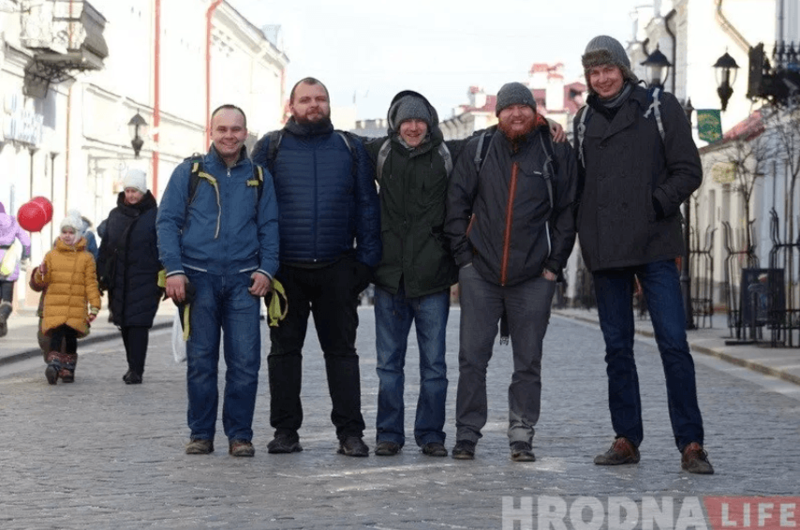 February 2018 was time for Belarus again – I hadn’t been back since 2007. Since 2017, Belarus have eased their visa laws somewhat. You can now apparently get a 5 day visa on arrival at Minsk airport, under some conditions and depending on nationality. As of February 2018, I would have qualified for such a visa on my Irish or British passport. However I didn’t want to backpack Minsk again, or fly in. So I was off to Grodno by land. I wanted to land border it. This also completed an odd Poland – Other Country set for me. I would now have been to every land border country via Poland. 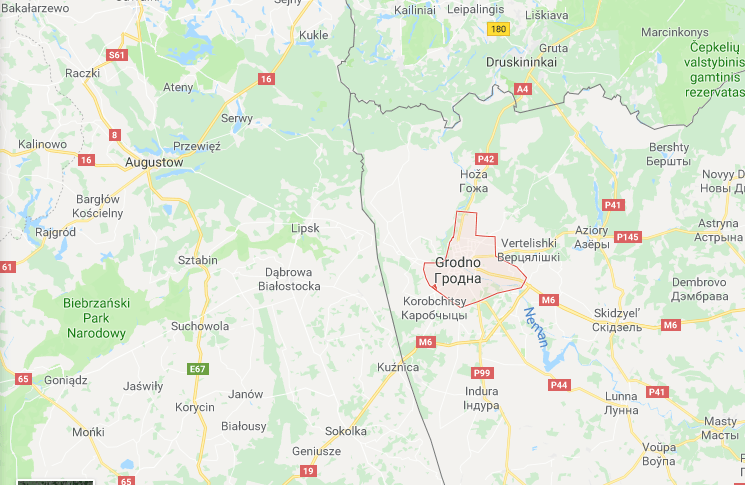 Grodno is only about 15 miles from Poland, and in fact – it used to be in Poland. It is also very close to Lithuania. Kuznica was to be our border exit point. I learnt that Grodno has a special regional visa now too. However after researching, I realised this wouldn’t suffice for my trip and was a huge risk to take as I may have been refused at the border. So for me, it was an embassy visit to ensure I got in. For those wanting to try the Grodno Visa Free option, try that link and good luck! The Belarus Embassy in Warsaw were very strict on getting the visa, so I really don’t know how you would get in without one, overlanding. They wouldn’t accept my hostel booking, nor give me any more than four days on the visa. A friend was also denied entry at the border based on car documents. 1.Fly in and out of Minsk on a public jet and be allowed a 5 day visa. 2.Overland Grodno region for 5 days (Letter of invitation, hotel booking, payment, tour booking). 3.Overland Brest region for 5 days (Letter of invitation, hotel booking, payment, tour booking). 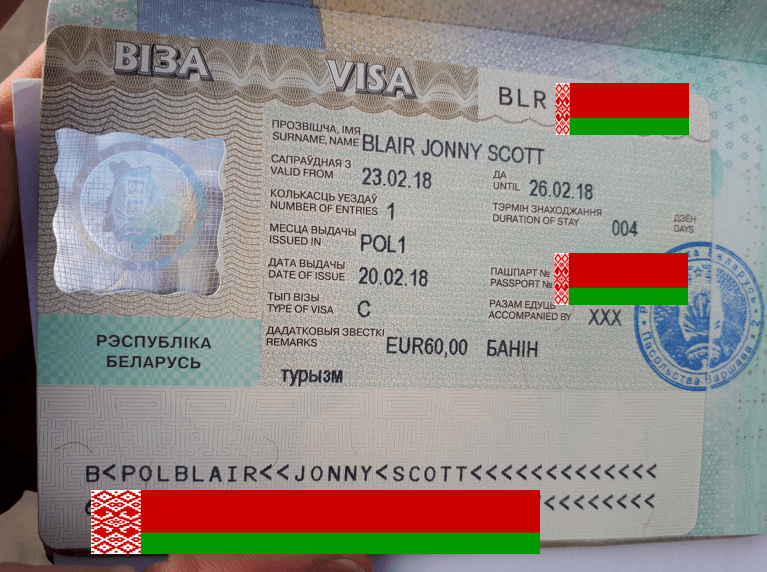 What Do You Need to Get a Belarus Visa in Warsaw? 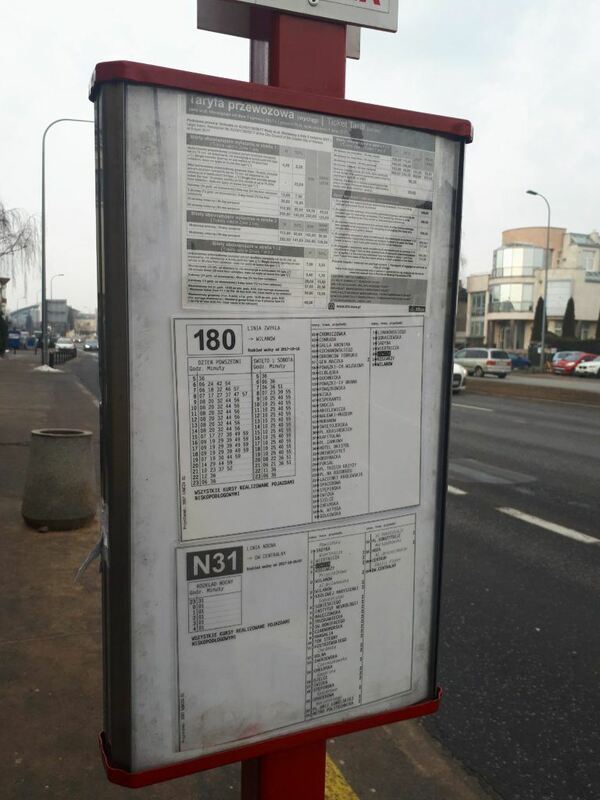 2.Printed details of your flights/trains/cars in and out of Belarus. 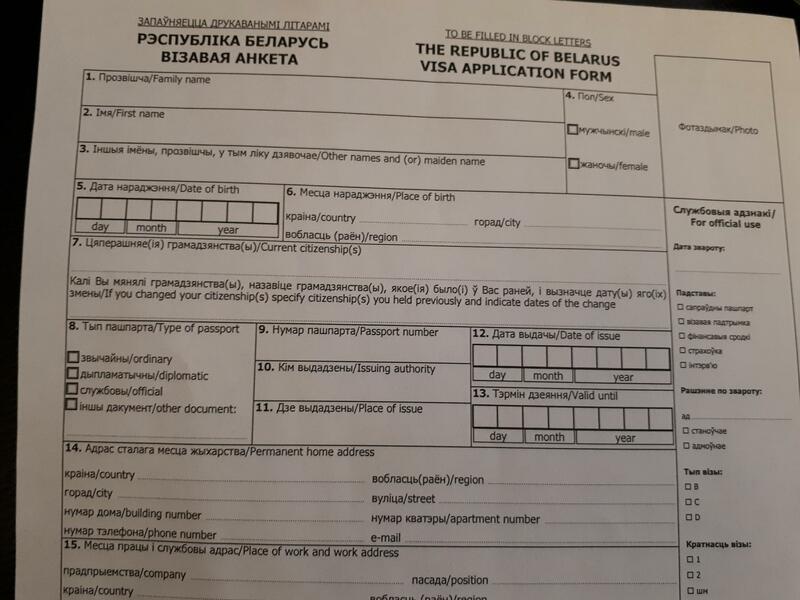 4.A completed and signed application form for the Belarusian Visa. You can get these at the embassy in either English, Polish, Russian or Belarusian. 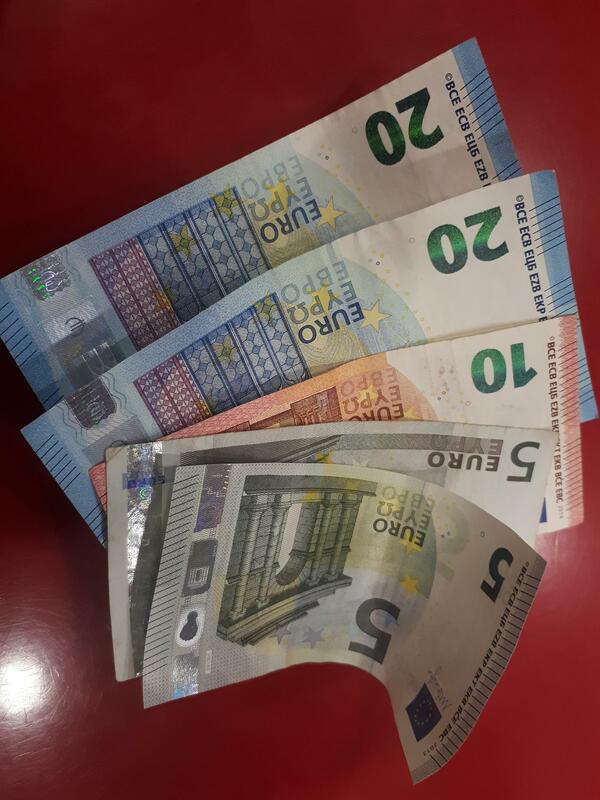 5.Payment in Euros only (to be deposited into the bank only). 8.Travel insurance for the entire trip covering you for over $10,000 USD (ridiculous, I know!). I finally made a return to Belarus in February 2018. It had been 11years since my lunatical adventure there. 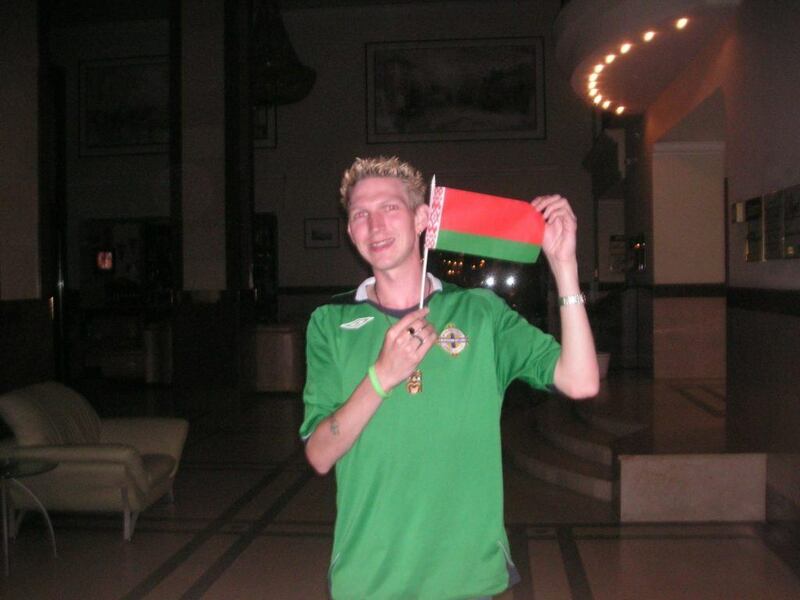 On that trip, in August 2007 I went backpacking in Belarus as part of a solo trip to watch the Northern Ireland ladies international football team play Belarus away in the unknown city of Bobruisk or Babyrusk. 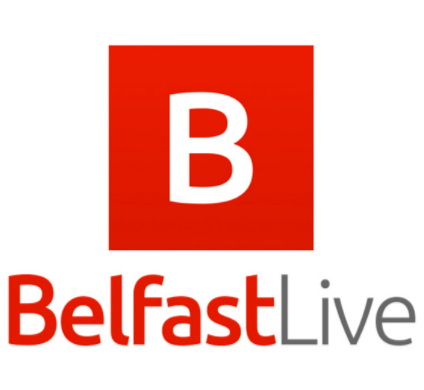 As of today, Northern Ireland have still never played Belarus away at senior level. 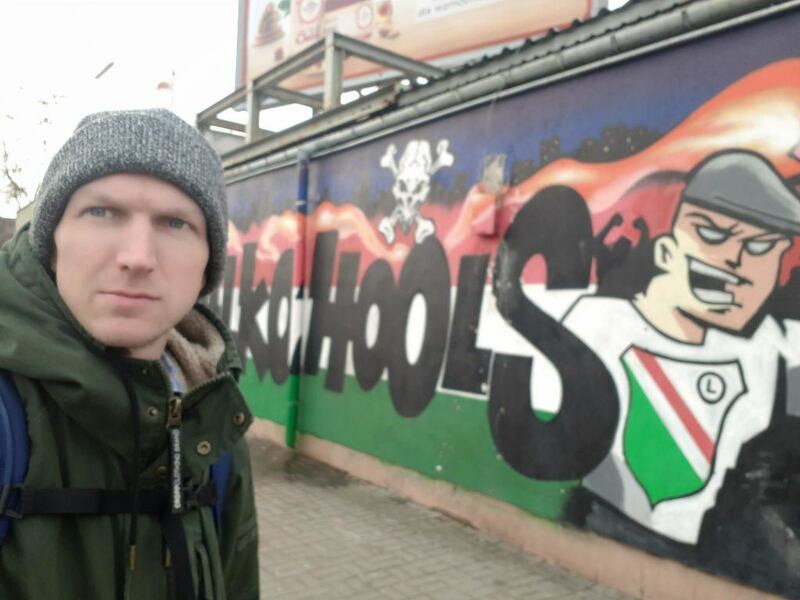 It means I am still the only Northern Ireland fan to travel to a senior away match in Belarus. To complete the circle I later attended our home friendly with Belarus at Windsor Park in Belfast in May 2016. On the 2007 trip I backpacked through Minsk nd Babruysk and rode on a textbookian blue Belarussian train. I toured rarely ventured Babyrusk and stayed in a wacaday hotel by the charmigating Berezina River. Back in 2007 I got my Belarus Visa in a matter of days and without hassle from the Belarussian Embassy in London, England. It cost around £50 at the time. In 2018, it was a hell of a lot trickier. The Belarussian Embassy is not in an easy location to get to. 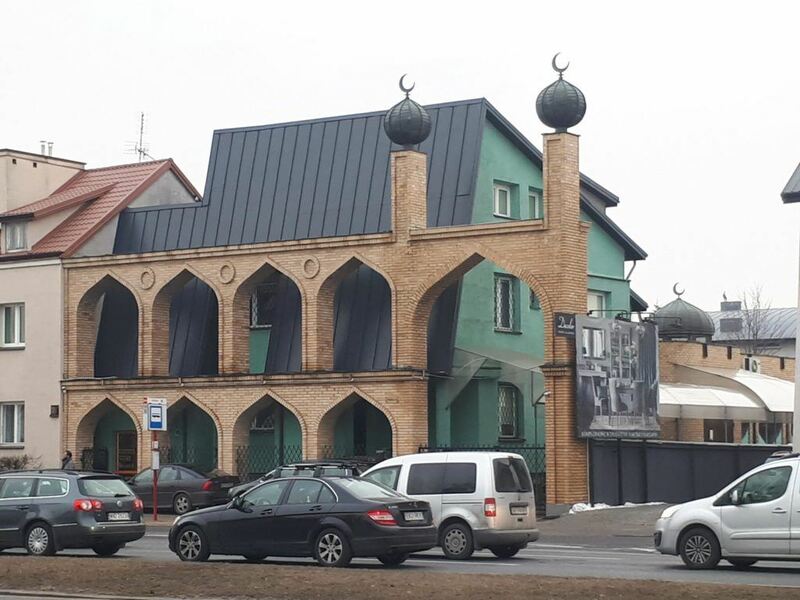 It’s in the Wilanow district of Warszawa which also houses many other embassies including Pakistan, Bangladesh and Saudi Arabia. I used the 180 bus to get there from Łazienski Park. There are a few other buses that go past. Get out at Łowcza or Kosiarzy. 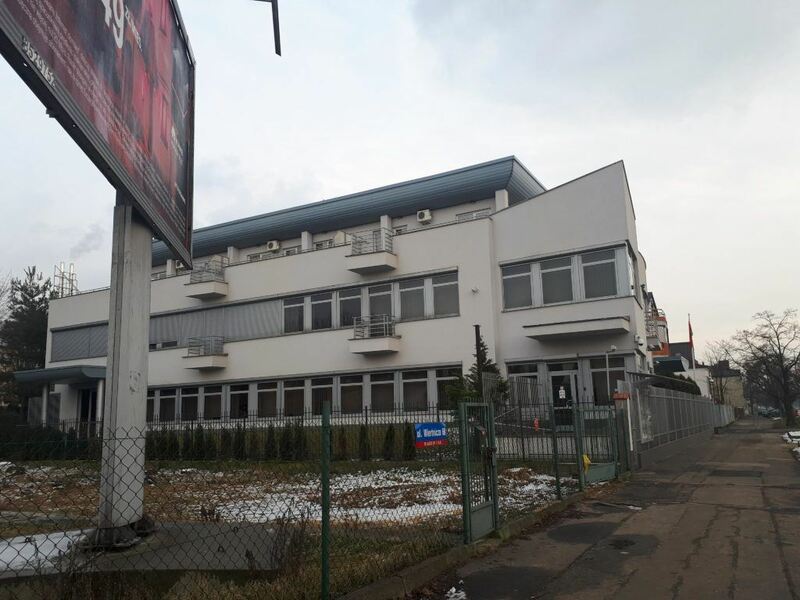 The address is 58 Wiertnicza street. Depending on which way you come you will either arrive at the bus stop almost directly outside the Belarussian Embassy or the one opposite. 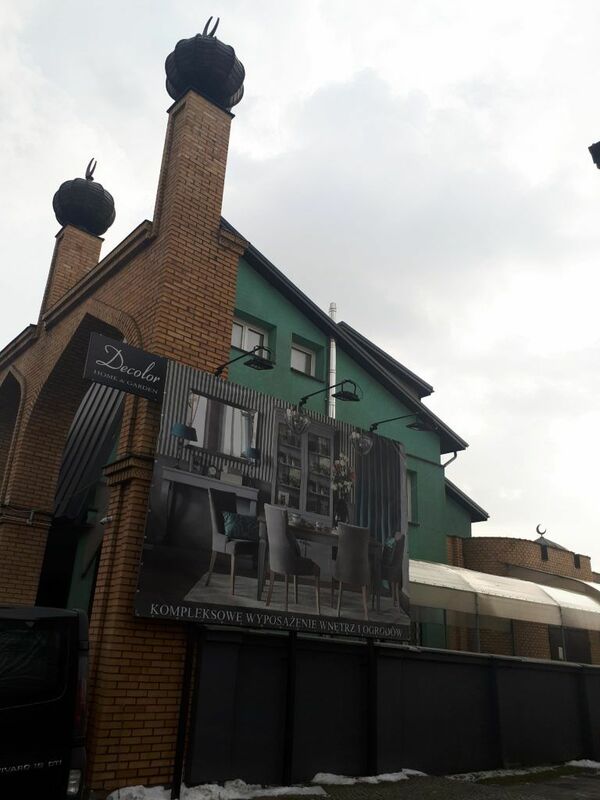 I got out at the one opposite which is called Kosiarzy. The Belarussian Embassy is huge and has a big flag so you can’t miss it. This was a new area of Warszawa for me to explore and because of my multiple visits and time waiting, I had time to kill. Sights nearby include the Warszawa Armoured Vehicles Museum, the TV Studios, the only Mosque in Warsaw and some Legia Warszawa murals. 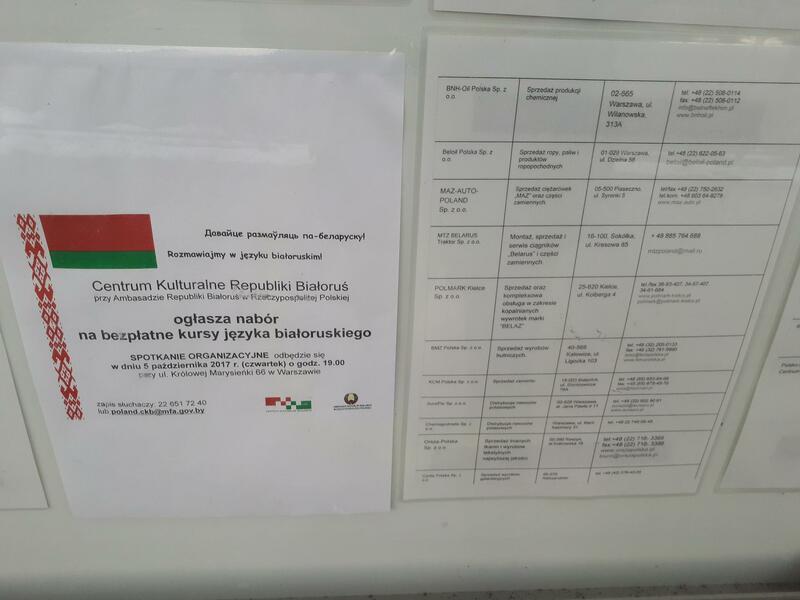 You can get the form from the Belarusian Embassy in person. That’s what I did. You can also download it and print it from this link. I got an English version of the visa application form. 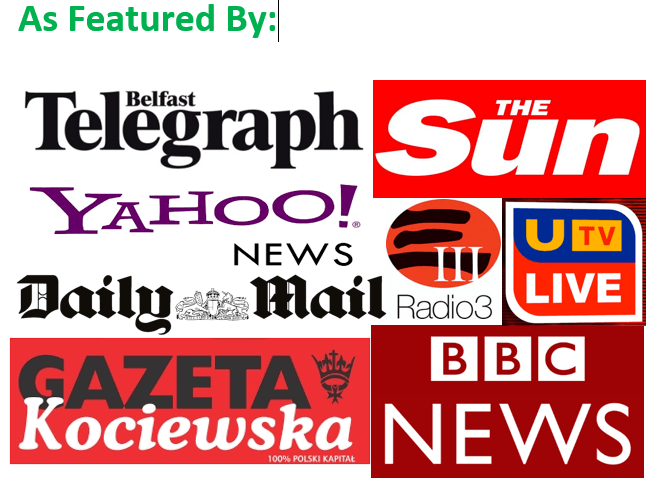 It is also available of course in Ukrainian, Polish, Russian and Belarusian. Backpacking for a month? You’ll need 30 nights of hotels! Filling it in was fairly simple. The main thing that upset me was you can only get a visa for the amount of days you have hotels booked. This means overland backpackers actually have to lie to get the visa. As tourists we can not plan a full month in advance as tour plans always change. I didn’t want to book 30 nights in hotels from Grodno to Gomel to Brest to Minsk. It’s a ridiculous process. You’d end up going in with a book of over 40 leaves of paper!! 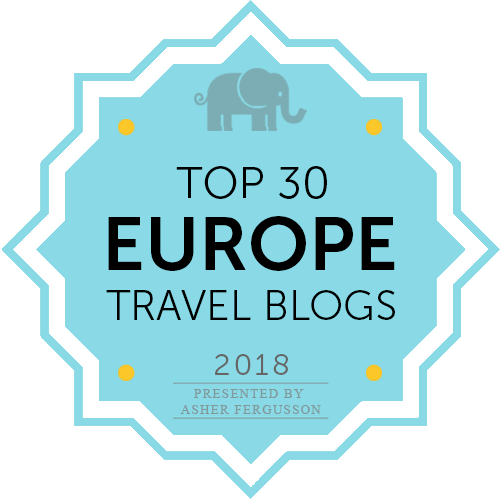 They also declined my idea of a double or triple entry visa (which are the same price) as I would have had to provide details of every hotel for every night of the three visits! This is the tricky bit and even the Belarusian Embassy didn’t tell me the truth. I made 5 embassy visits in the end and 1 bank visit. So I’d say the entire visa application took about 12 hours off my life with all the forms, bookings and buses to and from the embassy. A fully filled in application form. Your passport. No photocopies needed. Your proof of exact days and nights booked in hotel. Your hotel can provide you with this. 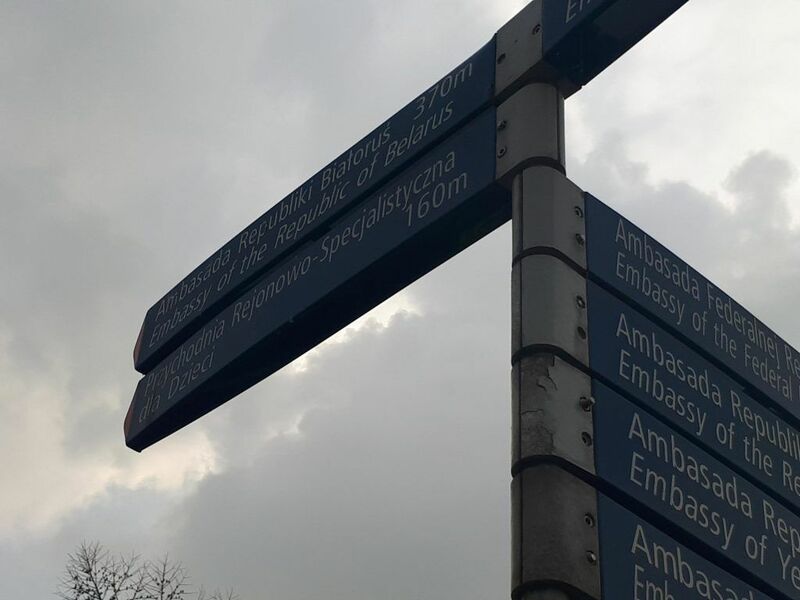 You cannot pay for the Belarusian visa at the Embassy. You must go to a Millennium bank in Poland and pay there. Card payments are not accepted. Mine cost me 60 Euros and I paid in cash. Despite saying on the notice boards that these types of visas are available, they are not. Double and Multiple Entry Visas are for business purposes only. Tourists can only get a Single Entry visa. Again they may have been lying to me. But this is what I was told after my request for a multiple entry visa. So after you have all your flights, hotels etc. 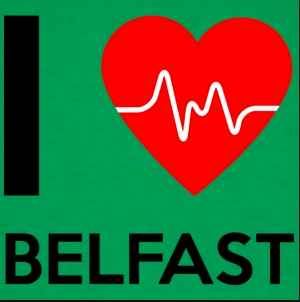 booked, you fill in an application form, then you have to go to the bank to deposit the money into the account. The Belarussian Embassy will give you the account number and a slip to give to the bank to put the money into. The bank is Millennium Bank and you can go to any branch in Poland. I went to the one on Marszałkowska Street. Once you get there, just go inside, hand in the slip and pay the correct amount in cash. 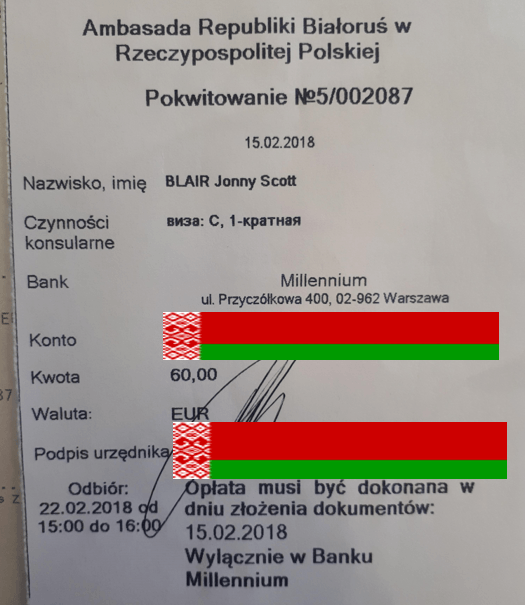 My visa was 60 Euros plus a 5 zlotych fee. Once you have paid for it, the bank will give you a proof of payment slip (a receipt) which is stamped and dated. You then take to the Belarussian Embassy the day your visa is ready. 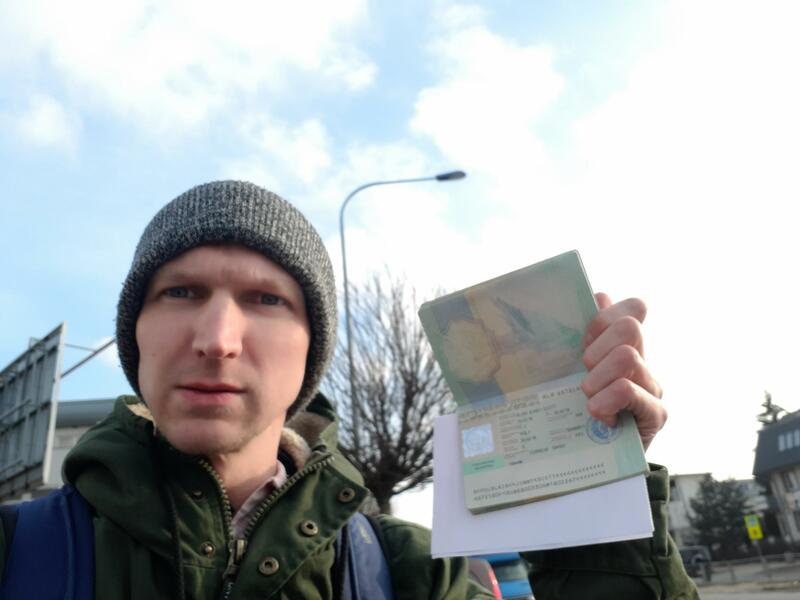 After 8 days (or as they like to fake it – 5 ‘working days’, even though most of us work every day – baffling) I headed back to the Belarusian Embassy in Warsaw to collect my Belarus Visa. 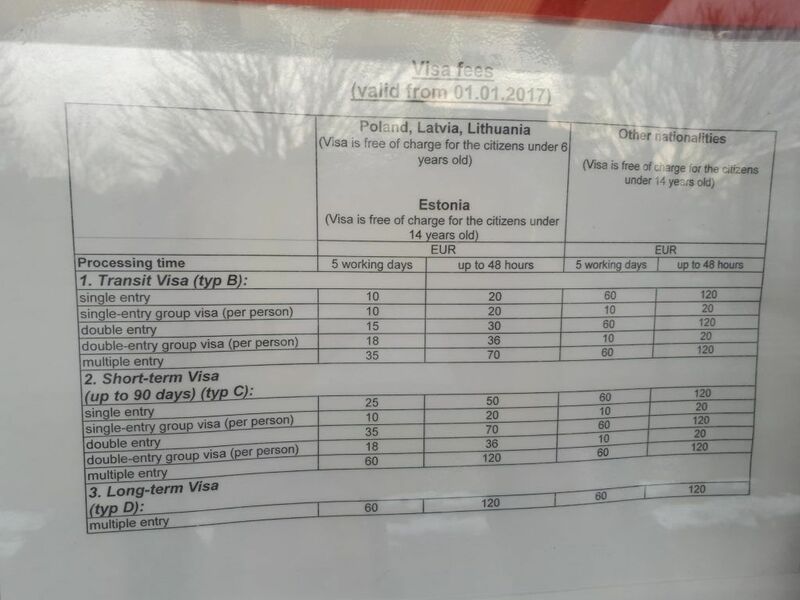 You can ONLY collect your visa between 15.00 and 16.00 in the afternoon unless there is a special circumstance and only on the day they stated. I arrived at the embassy around 15.03 and had my visa in my hand at 15.11. Photography is banned in the Belarusian Embassy and they search your bags, coats and body on the way in. However, they do have some tourist information booklets for free at the embassy which was a welcome yet unexpected bonus. Bingo, I did it! Phew! Now the final piece of the jigsaw was getting into Belarus. I was crossing my land in my friend’s car. It was another crazy adventure and believe it or not – my friend didn’t get across the border, and I also was not allowed to walk across the border alone! So I had to get into a car of a random guy and pretend we were friends. 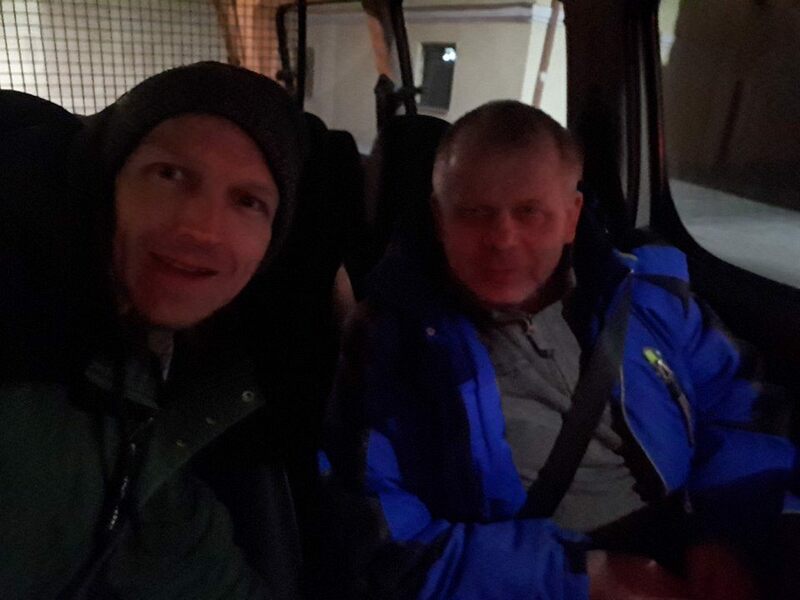 In the end, it was Krzysiek and he gave me a lift all the way to my hostel in Grodno. 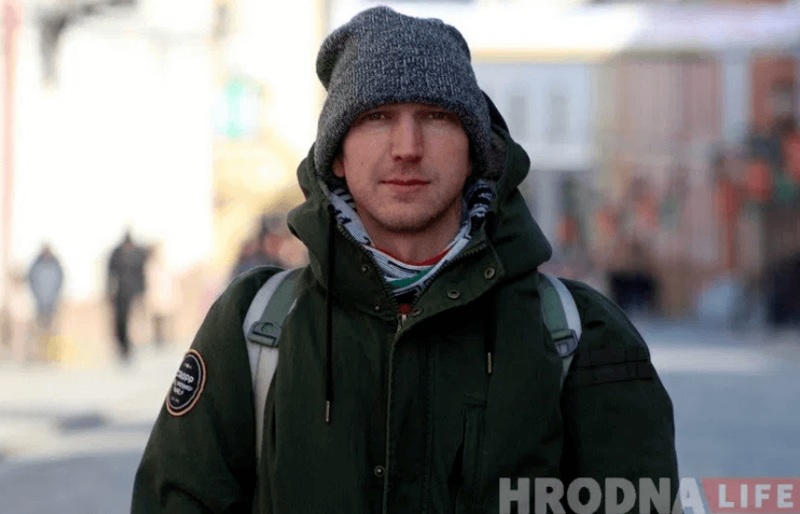 I will be writing more and more about backpacking in Belarus as the days go by and I was interviewed by the local media there in Grodno – I love the unusual cities – much better than whackpacking Rome, Kangbok or Paris. 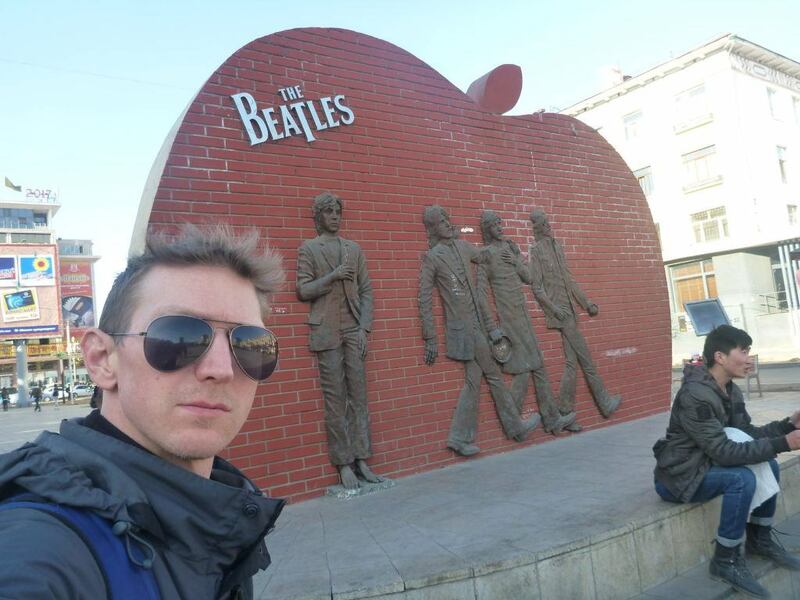 This entry was posted in Belarus, Grodno, Porady Wizowe, Regular Features, Visa Advice, Warszawa. Bookmark the permalink. 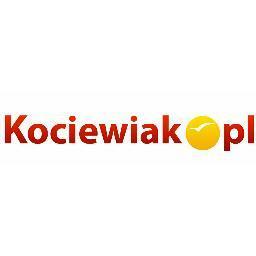 ← Poland Poll: What Should Jonny Do in March 2018?